If you are a fan of Ellen DeGeneres, you may have known her for her humor and comedy especially on her show The Ellen DeGeneres Show. However, one side that you don’t typically see on TV is her being an avid poker fanatic. It is quite common to hear stories of celebrities who are into poker. It is quite common to hear about celebrities playing poker games every now and then. However, poker has a special place in Ellen DeGeneres’ heart. In fact, she regularly hosts high-stakes games at her house. And not only that, she invites a good number of Hollywood A-listers to join her in the fun. The games are actually legal in California. But unlike your friendly game of basement poker, things are quite different in Ellen DeGeneres’ home! In fact, the games could rack up pots that are actually worth hundreds of thousands of dollars. It turns out that Ellen DeGeneres has a different side that you don’t typically see on TV. According to reports, Ellen DeGeneres is actually quite aggressive and passionate about poker. She has the tendency to not hold anything back while playing in the poker table. She has been described as a Dr. Jekyll and Mr. Hyde when facing poker chips. In an event that was reported by an anonymous invitee, the invitee wasn’t able to keep up with the game ended up being at the end of Ellen DeGeneres’ wrath. She accused her guest of ruining the game. The anonymous invitee reported on Radar Online that “the energy around the table was very tense. Ellen threw a tantrum and her screams echoed through the halls as frightened guests looked on in sheer disbelief”. After the episode, Ellen was compelled to fold her cards and to abandon her $18 million home. Now, that is something that you don’t see from Ellen DeGeneres on a daily basis when you watch her do funny and witty things on her show. Ellen DeGeneres is a successful actress and comedienne who started doing standup routines in the late 70s. She was able to make an appearance during the Tonight Show Starring Johnny Carson in 1986. She has also appeared in several films from animated films such as Finding Nemo and Finding Dory to films such as ED TV during the late 90s. 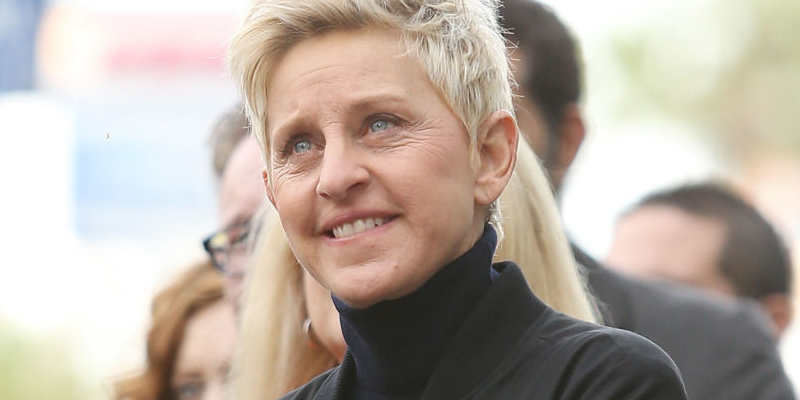 Ellen DeGeneres became the star of her own show, “Ellen” from 1994 to 1998. And now, she is the host of The Ellen DeGeneres Show since 2003. She has been able to win different awards over the years including 29 Daytime Emmy Awards and one Primetime Emmy Awards. Do you think that Ellen DeGeneres is simply passionate about poker that she exhibits a different personality when in front of the poker table? Or perhaps she really just reveals her true competitive self when playing poker? One thing is for sure, she is an avid poker fan given the amount of money involved in their games. Ameana's deepest conviction is that all reporting should be done up to the best standards in the industry. Accurate and factual language is what she strives towards. Despite her flair for facts, there's nothing dry about her writing. She manages to create very pleasant pieces of texts that successfully pack all the relevant information that readers should be informed about. Ameana is a much-appreciated addition to our team and apart from mastering the craft of writing, she's something of a brilliant cook. RealMoneyGambling.com is your premier source of iGaming and casino news from the United States and beyond. We follow the latest business and legal developments to bring you a reliable coverage. Our reporters are established names in the journalistic community who show particular interest in iGaming and the way the industry is developing around the world. The news you read are examined in their context, bringing our readers immense value in the process. Copyright 2019 Real Money Gambling News. All Rights Reserved.